We pride ourselves in customer service, auto repair & we always work hard to ensure that we provide you with the best customer experience. As our way of saying thank you, we will give you only the best deals! Start Saving money now! Click here for our money saving coupons!!!!!! Contact us today & let our team of experts in auto repair services analyze & determine the best auto repair solution you need for your car. 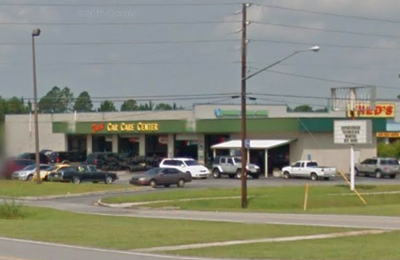 Total Car Care Center has proudly provided quality automotive service & repair in the Hinesville, GA area and surrounding communities for years. Trust Total Car Care Center of Hinesville for all of your auto servicing needs. When you visit Total Car Care Center in Hinesville for an oil change, you can expect to receive service that is quick, effective and affordable. We help prolong the life of your vehicle by ensuring it is always running at optimal efficiency. We have a solid team of mechanics and our office staff is friendly and helpful. From basic tune ups to oil changes and engine diagnostics, we can help. Give us a call today. At Total Car Care Center of Hinesville, we strive to provide our clients with unbeatable service. From basic tune ups to routine oil changes, our certified technicians are fully insured and licensed to take on any job. Contact our team today for a free estimate! For all of the above services, we guarantee a very short wait time, so you'll be back on the road safely and quickly. Our experienced mechanics use state-of-the-art equipment, which means we can diagnose any problem connected with the performance of your car. We are one of the most trusted auto repair shops in the state and we are always happy to serve our customers.